This month as part of my year as a Bostik Blogger we were sent a back to school themed box. If you missed last month’s, we made bird finder binoculars which might help you out on a rainy day. We seem to be having many of those this summer holidays. 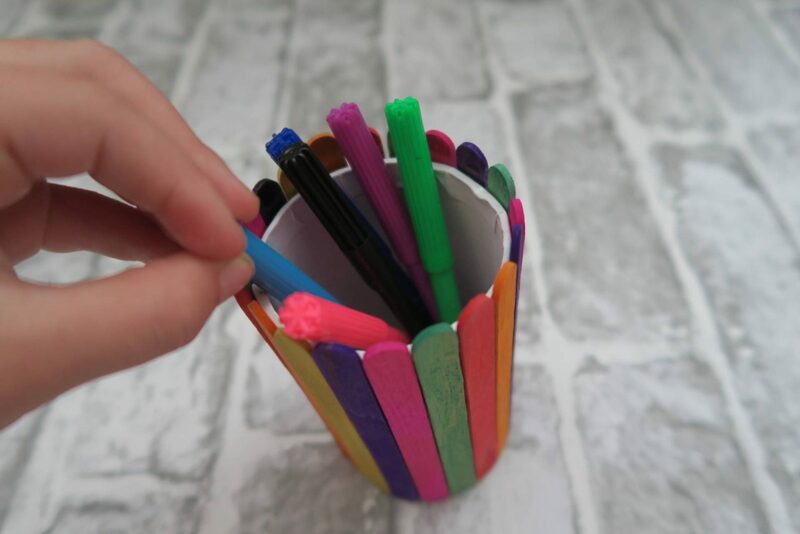 With Alice home, we decided to make her a pencil pot to put all her pens in. I wanted to set up a craft that Alice could do herself. She is more independent now and likes the achievement. 1. 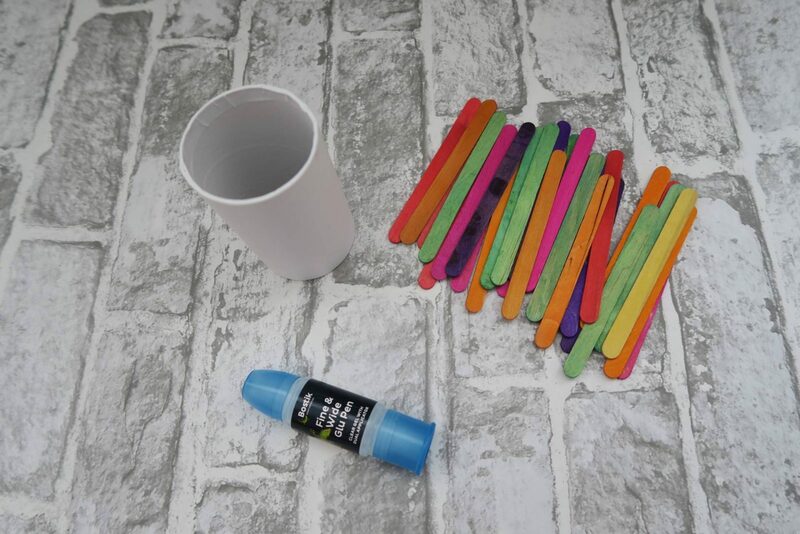 If you don’t have coloured lolly sticks, you could paint some plain ones, which would be your step 1. 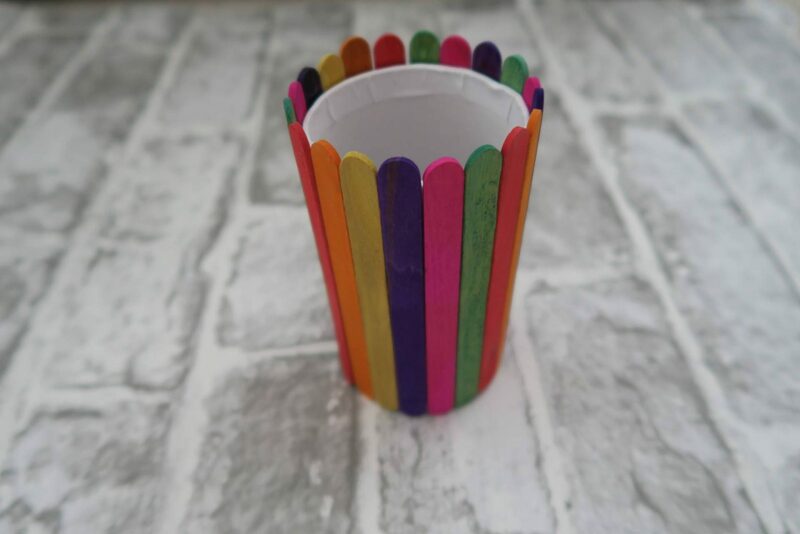 As we had coloured lolly sticks, we could start with sticking them onto the pen pot. 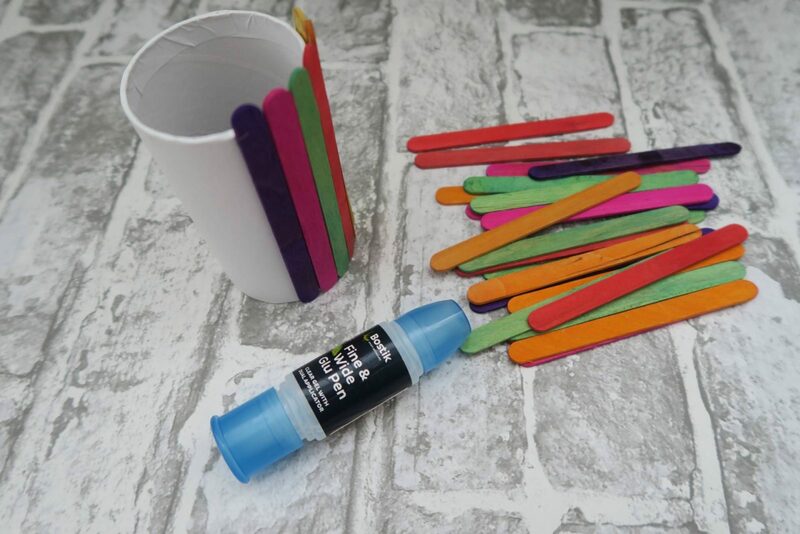 On ours, the lolly sticks were longer than the pen pot which is what I wanted and I explained to Alice to hold the tip to add the glu meaning that bit didn’t have glu on it. 2. It didn’t take too long before she had gone all the way round. It looks really colourful and she loves it! 3. Alice couldn’t wait to put her favourite pens in it. 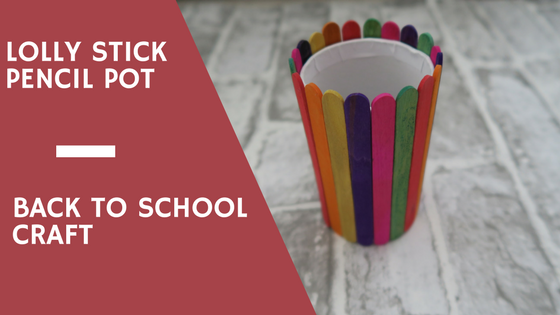 The perfect back to school craft! Disclosure: I am a Bostik blogger for 2017 and these items were sent to me for the purpose of this blog post. Oh what a great idea! So simple but it looks fantastic and I bet the kids loved making it. I must try this with my girls! What a fab craft idea. We have all the tools, so will try it with the kiddies. This is such a lovely creative idea, perfect storage use and great sense of play time too. What a fun little craft! My eldest would love doing this!